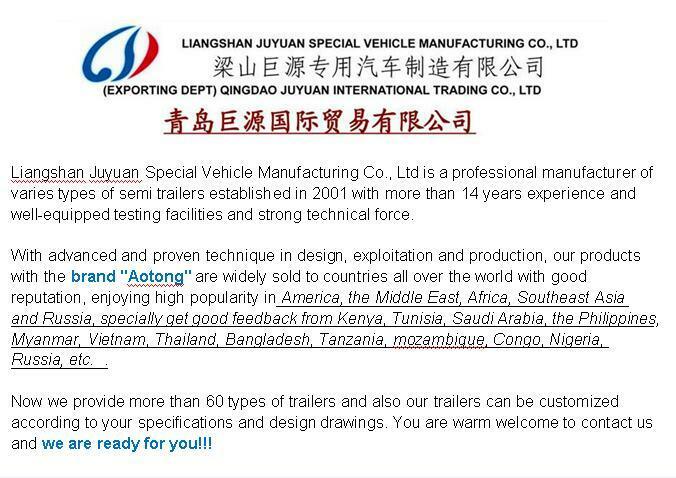 Liangshan Juyuan Special Vehicle Manufacturing Co., Ltd is aprofessional manufacturer of varies types of Semi Trailers established in 1992 with more than 20 years experience and well-equipped testing facilities and strong technical force. With advanced and proven technique in design, exploitation and production, our products with the brand "Aotong" are widely sold to countries all over the world with good reputation, enjoying high popularity in America, the Middle East, Africa, Southeast Asia and Russia, specially get good feedback from Kenya, Tunisia, Saudi Arabia, the Philippines, Myanmar, Vietnam, Thailand, Bangladesh, Tanzania, mozambique, Congo, Nigeria, Russia, etc..
Now we provide more than 60 types of trailers and also our trailers can be customized according to your specifications and design drawings. You are warm welcome to contact us and we are ready for you!!! 4. Small order can be accepted. 1. The cargo's carrying part of the stake truck is store house bar style designed, the beam wears through the longitudinal beam which is welded as aspace frame structure, making the frame strength, stiffness, flexibility an equilibrium, astrong carrying capacity without permanent deformation. 2. The max height of the rear guard from ground is 550mm, and the cross section is 180mmX70mm. 3. 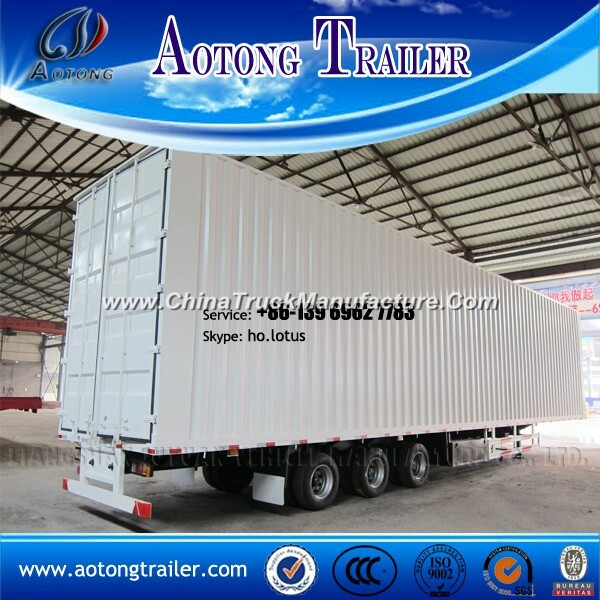 Suitable for the agricultural, sideline products and other light products' transportation. The design is convenient for products' unloading, and it's not only satisfy the rated load also reduce the burden of the compartments. 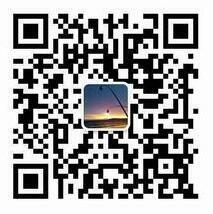 Welcome your inquiry at any time, we'll give you further information and nice quotation as required, welcome you to our factory for inspection at any time. We'll pick you up at the airport. Please contact Lotus Ho for details.